With the objective of introducing a pension scheme for private sector employees, the Government is considering a proposal to bring the Employees Provident Fund (EPF) and Employees Trust Fund (ETF) under the Treasury, a Cabinet minister said. Labour Minister W.D.J. Seneviratne told the Sunday Times the proposal to formulate a private sector pension scheme was under discussion after bringing the EPF and ETF under the Treasury. He said the proposal was to have a contributory pension scheme similar to what has been proposed for public sector employees. For the private sector, a fund would be set up to support the pension scheme while part of the funds would be made available as housing loans for EPF/ETF contributors, the minister explained. But the amount given as housing loans would be cut down from the current 75 percent to 30 percent because the Government wanted to ensure that the employees received a sufficient amount after retirement. A Finance Ministry official said that under this scheme, the private sector would be given the option to fix the retirement age according to their wish. 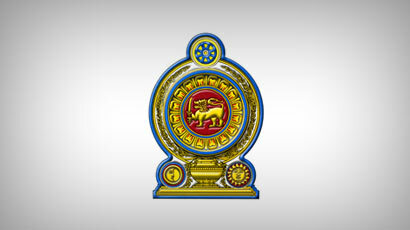 Minister Seneviratne said the Government would introduce the proposal as a bill, after discussions were completed. The EPF, Sri Lanka’s largest social security scheme, had assets upto Rs. 1,665 billion at the end of last year. The EPF is now managed by a unit in the Central Bank. The ETF as at end of last year was Rs. 218.5 billion with 2.5 million active members. It is now managed by the National Policies and Economic Affairs Ministry which is under the Prime Minister. In 2011, the former government proposed a pension scheme for the private sector, but the plan was shelved after protests by unions which claimed that the EPF and ETF would be affected. Thia ia probably another hair brained idea of the minister to rake in in billions of r rupees under its control under the pretext of creating a pension scheme whoich is already undersubscribed and its survival is dubious and is on the verge of extinction and survives by the grace of subsidies given by the already bankrupt central bank. On the contrary the labor department runs a computerized system, a system that dates back to a few decades and subscribers are posted their accounts annually and claims are processed promptly. Therefore there is little need for ravi and his selected mob to stay clear of the EPF operation.